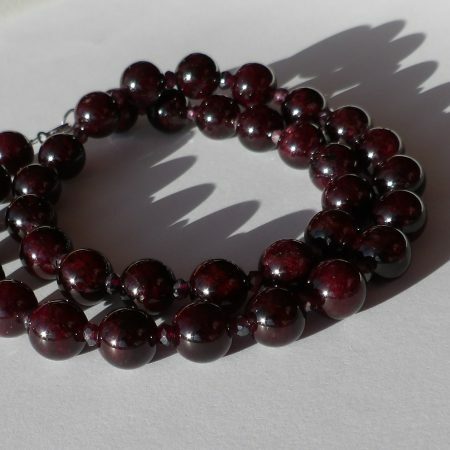 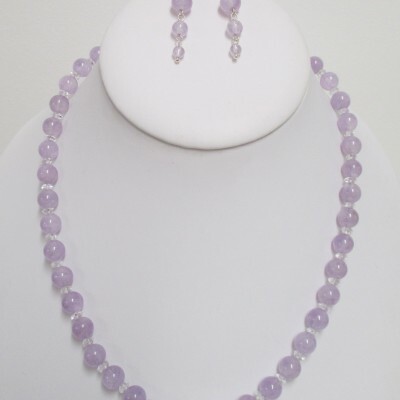 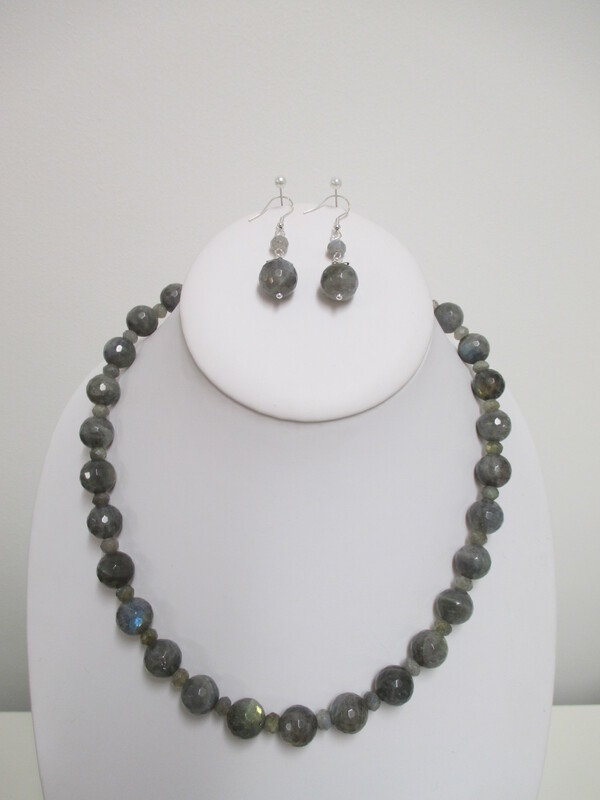 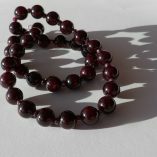 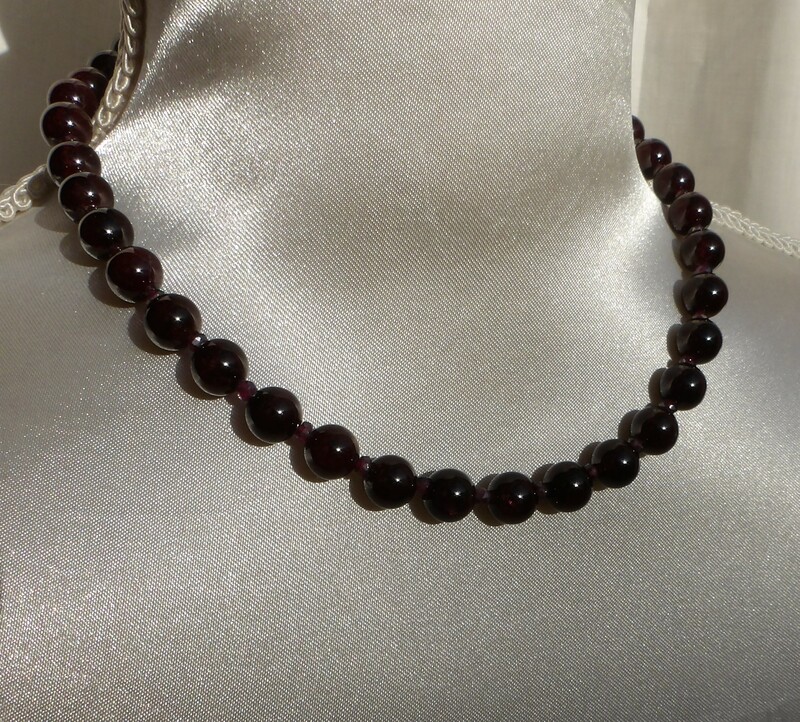 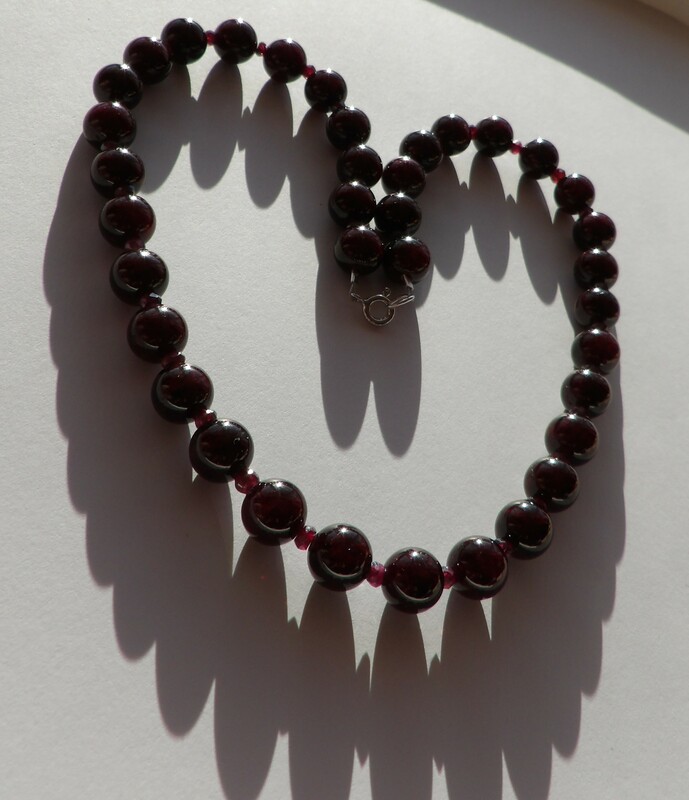 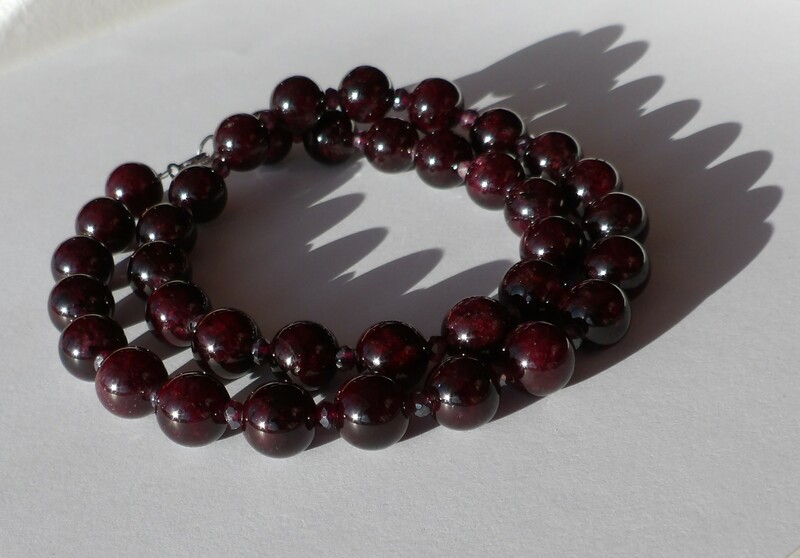 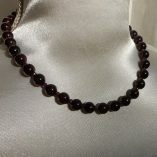 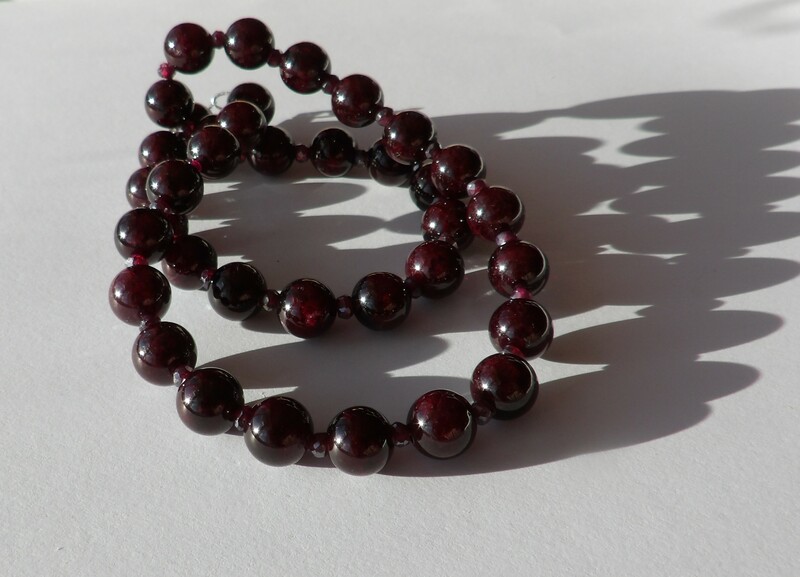 This lovely necklace is made with juicy 9mm garnet rounds separated by faceted diamond colour coated garnet rondelles. 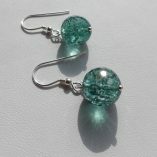 The rondelles add a lot of sparkle. 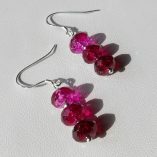 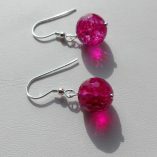 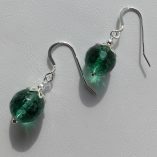 They sometimes look silver – but in sunlight the red of the garnet shines through. 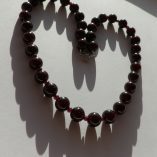 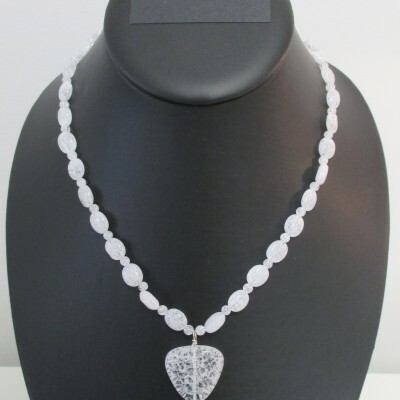 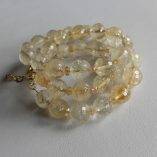 The necklace, which is finished with a sterling silver bolt ring clasp, measures 45 cms (17.5 inches).